When one thinks of Isle of Palms real estate, a single name comes to mind: Jimmy Carroll. For 40 years, Carroll has been serving his community as more than just a real estate agent. He has helped many clients find luxury residences and vacation homes. But he has also been a major contributor to the Isle of Palms community through his service as its mayor. 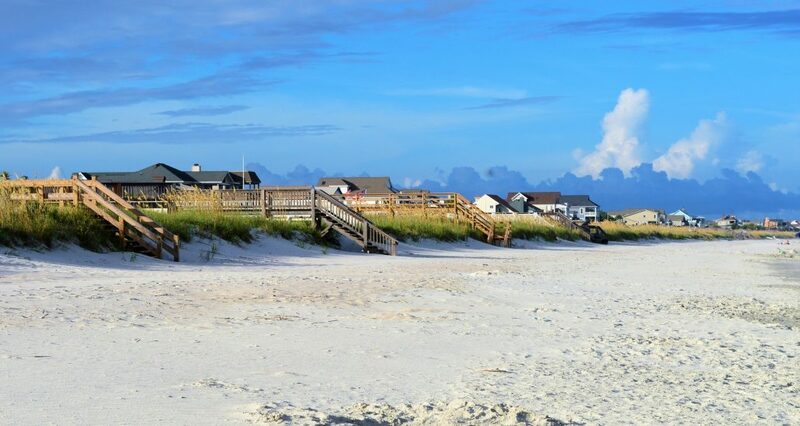 In this post, we’ll take a look at the history of Isle of Palms real estate and Jimmy Carroll’s involvement in the market and community. Throughout his career, Jimmy Carroll has consistently finished in the top 1% of sales among Charleston-based realtors. How has Jimmy been such a successful Isle of Palms realtor? It all starts with familiarity and an understanding of the local community culture. That’s easy enough for Carroll, who has been an Isle of Palms resident his entire life. Carroll’s childhood home is located on 37th avenue on Isle of Palms. As a local real estate agent, what better place than his family home to gain a glimpse of how the housing market has changed on the island over the years? His parents bought the home in 1960 for $3,750. They sold it in 1979 for $66,000 and today it is valued at $700,000. Carroll obtained all of his education locally as well, never straying far from his roots. As a child, he attended Sullivan’s Island Elementary School, and he achieved a B.A. in political science from the College of Charleston in 1978. Right out of school, Carroll dove head first into the real estate business, knowing right away that it was his natural calling. 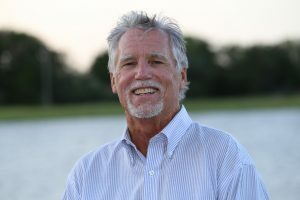 From even his early career as an Isle of Palms real estate agent, Carroll displayed a unique ability to connect with his customers. Pairing that with his profound knowledge of the local market and its community, his career as a trusted realtor began to take off. After three years of working for other realtors, Carroll was ready to take the next step in his career. He and his mother Kathy Carroll, also a realtor, started Carroll Realty Inc. in 1981. They started off in a small 4-room office on Sullivan’s Island and never looked back. By 1984, Carroll was recognized by the Association of Realtors for exceptional sales and achievement and has been recognized ever since as a consistent top achiever. Soon it was time to expand. Carroll bought a bait and tackle shop next to the old gas station on Isle of Palms and renovated it, opening the doors to his new office in 1987. Just as prices were rising on the Isle of Palms and Carroll’s career was flourishing, Hurricane Hugo devastated the island in 1989. It is still the strongest and costliest hurricane to hit South Carolina to date. Rows of beach front homes were destroyed. Boats harbored at the marina on IOP were washed ashore and left piled up in heaps once the water receded. The damage to Isle of Palms and Sullivan’s Island alone was an estimated $270 million. And Carroll was right in the thick of it. His new offices were destroyed as well. But that didn’t stop Jimmy Carroll. He built a new structure in place of the old one and continued serving the community as the island’s go-to realtor. It would take a long time for real estate prices on the island to rise back to their pre-Hugo highs, but Carroll was able to persevere. And the market got a break in 1993 when the construction of the Isle of Palms Connector bridge was completed. The building of the bridge was a controversial topic at the time. 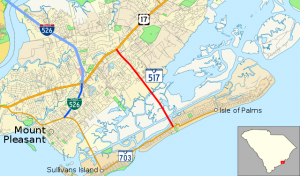 Some residents feared that building a bridge that connected Isle of Palms to Mt. Pleasant would bring in more people, more development and more traffic. The city held a referendum on the issue. and the resulting vote was extremely close—51% for the bridge, 49% against. Those worrying about more people and more development were correct in their assumptions. But the bridge did help to boost a sagging real estate market, ultimately improving the area’s overall economy. And Carroll was there to help guide the community through the process. Following the construction of the Connector and the Mount Pleasant Towne Centre—an upscale shopping center located on Highway 17 near the Isle of Palms Connector—the housing market on IOP steadily improved for a number of years. There wouldn’t be another shock to the system until the subprime mortgage crisis hit in 2007 and led to the Great Recession. 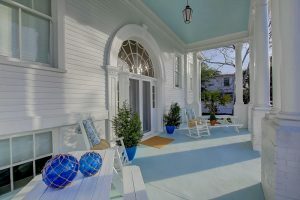 Sales on Isle of Palms show a direct connection to this nationwide issue. In 2006, there were 122 home sales on IOP. In 2007, that number dropped to 36—a staggering decline. But even so, Carroll was able to keep his business going. He not only survived Hurricane Hugo and the housing bust, he prospered. Today, the housing market on Isle of Palms is robust and healthy, with the average home price valued at $986,059. For a closer look at the history of Isle of Palms real estate, take a look at Jimmy’s Island Market Reports. What truly sets Carroll apart from any other Isle of Palms realtor is his love for the local community. From the get go, Carroll wanted to give back. Beginning in 1981 and every year since, Carroll has been a volunteer for and a supporter of the island’s local youth sports programs. And since the year 2000, Carroll Realty Inc. has donated enough funds through the East Cooper Chapter of Habitat for Humanity to build at least three complete Habitat homes. Having been a supporter of his island community’s efforts to preserve private property rights among other issues, Carroll felt compelled to get more involved in local government. In 2012, he was elected to the Isle of Palms City Council for a 4-year term. He was re-elected in 2016 and halfway through his second term he ran for and was elected mayor of Isle of Palms. It too is a 4-year term which began on January 1st, 2018. In his time as a councilman and mayor, important resolutions and decisions that have been passed with his support include a parking plan that allows for inexpensive visitor parking while preserving the island’s calm, residential flavor. He was also behind IOP becoming the first local community to ban plastic bags. An initiative that has been taken up other Charleston-area communities, including Folly Beach and Mt. Pleasant. Carroll also opposes offshore drilling, an important fight that many beach communities in South Carolina are joining. Carroll is highly respected within the real estate industry. In 1999, he was elected president of the Multiple Listing Service (MLS) and helped guide it toward an internet-based provider—a monumental decision considering how the internet is used today. In 2004, he was elected president of the Charleston Trident Association of Realtors (CTAR). He’s also been the president of the East Cooper Top Producer’s Club, the Charleston Association of Realtors, and director of the South Carolina Association of Realtors. But first and foremost, Carroll is a family man, dedicated to his three wonderful sons, Jimmy, Winslow and Capers. In fact, Winslow is his protégé and working at Carroll Realty Inc. as a realtor. In 2015, Carroll sold his interests in Carroll Realty Inc. to his sister, Kathleen, her son Michael, and his wife, so he could spend his time working as a private realtor and as the mayor of Isle of Palms. He now spends much of his time with his constituents and devotes himself to doing what’s best for his community. Carroll’s years of experience and intimate knowledge of the island can’t be duplicated. He has been intricately involved with the history of Isle of Palms real estate and its community. He cares about his customers and wants what’s best for them. He knows which beaches are safe to swim in, which beaches have dangerous currents due to their proximity to an inlet and which areas are prone to erosion. And he knows the distinct areas of the island, so he can cater to a home buyer’s every need and desire—including price range, neighborhood personality and property size. In his 40 years as a realtor, Carroll’s total sales sit at $391,392,281. And he shows no signs of slowing down. If you’re looking for a leading Isle of Palms real estate agent, you’ve come to the right place. Who better to rely on when it comes to community information and housing than a native who has lived here his entire life? With over 40 years of experience in IOP real estate, Jimmy Carroll can help you buy and sell your properties with confidence. Use our online home search tool, or contact us today to get started!